Welcome to the first in a series of blog posts that will feature stories from Middle Years Programme (MYP) practitioners in IB World Schools around the globe. We follow their journey of implementing the enhancements to the MYP following its review and first teaching in 2014. 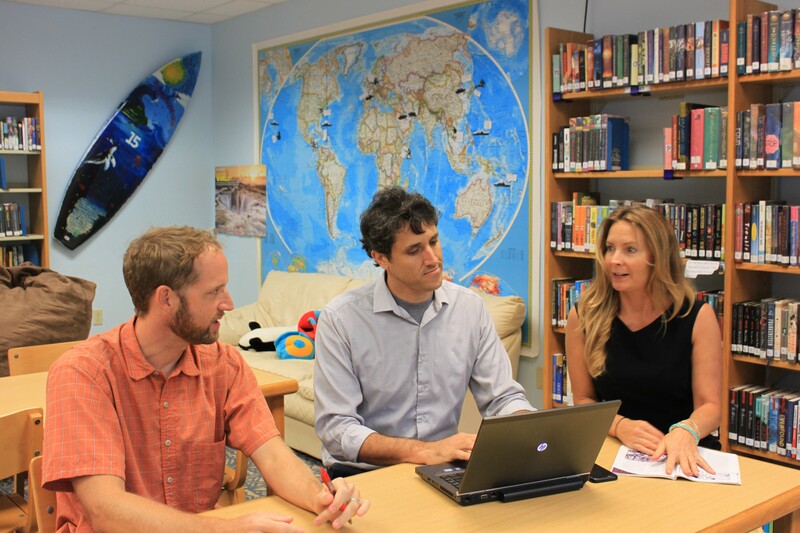 In this post we meet Damian Rentoule, Middle School Principal at Le Jardin Academy, Hawaii, who talks about connecting journeys in the MYP. The unit planning process is a highly personal journey for a team of teachers. It is in fact one of a set of parallel journeys that involve planning, teaching, assessing and reporting processes. The MYP unit planners support the connectedness of these journeys. If our philosophical beliefs about the nature of the learning process are to be fully realized in the classroom, this connectedness is vital. Confidence in the unit planner does not guarantee that classroom practices will be impacted by the ideas unit planners contain, yet a planner that accurately reflects the pedagogical approaches of the MYP is an essential starting point, a foundation. To build confidence in our unit planners, every now and then some feedback is important. The Building Quality Curriculum (BQC) service plays an important part in the provision of this feedback to teachers. Statement of inquiry: This combination of key concept, related concept(s) and global context, as you would imagine in a conceptually driven curriculum model, proves crucial in the alignment of a unit’s component parts. As you would expect, when there are problems with the statement of inquiry, the rest of the unit is impacted. Are there too many related concepts leading to an overly complicated statement of inquiry, which can be difficult for students to access? Does the statement of inquiry align to other parts of the unit such as the summative assessment task for example? Inquiry questions: Inquiry questions provide a clear direction for learning and support the critical and creative thinking that is required in the summative task. As the summative task is aligned with the statement of inquiry, the inquiry questions address the key and related concepts. Do the questions address the chosen concepts for the unit? Do the inquiry questions relate to each other so that students can build on their developing knowledge and understanding? Summative assessment: The summative assessment task(s) allow students to demonstrate the selected subject group objectives and their understanding of the statement of inquiry. How clear is the link between the selected subject group objectives and the summative assessment task? To what degree is a deep understanding of the statement of inquiry necessary for success in the summative assessment task? Approaches to learning: The approaches to learning skills provide support for students’ development in the subject objectives, participation in the learning activities as well as achievement in the summative assessment task. They are not just related to the unit – the selected approaches to learning skills are explicitly taught. Is the explicit teaching of the selected approaches to learning skills clearly evident in the learning experiences/teaching strategies section of the planner? Is the number of approaches to learning skills selected manageable within the time frame of the unit considering that they all need to be explicitly taught? Formative assessment: Formative assessment strategies provide practice and feedback on the knowledge, understanding and skills that students require for success in the summative assessment task. Are the formative assessment tasks clearly related to the summative assessment task? Is it clear from the planner how students will receive feedback from the formative assessment tasks? Differentiation: Considering content, process and product, strategies are used to help all students succeed in the unit. Are strategies focused on extension represented in this section? These are just a few areas that stood out to me during the first iterations of the service. As we all get accustomed to the changes introduced in the programme nearly two years ago, our MYP unit planners will continue to improve. In doing so we can make further progress in closing the gap between our planning, teaching, assessing and reporting processes. The more confidence we develop in our written curriculum documents, the more we will rely on them to guide our classroom practice. In this way, we can continue to connect these parallel journeys and ensure that the classroom experiences of our students align with the pedagogical intentions of the Middle Years Programme. The MYP unit planner binds these journeys together. (Don’t worry; I will not make a Lord of the Rings reference.) Good luck with your planners! Damian Rentoule is Middle School Principal at Le Jardin Academy, Hawaii and is part of the IB Educator Network as a Workshop Leader as well as a Senior Reviewer in Language and Literature for the Building Quality Curriculum service. Following an extensive review from 2010-2014 that included educational experts and IB educators from over 100 pilot schools in 46 countries, the MYP has undergone a rigorous process of improvement that builds on the programme’s strengths and global success. In 2014, IB World Schools around the world began implementing a revised MYP framework. IB World Schools can find detailed review milestones on the programme resource centre. A recently formed partnership between the IB and the Claremont Evaluation Center (CEC) is evaluating the new MYP. Over the next three years, the CEC will complete the programme evaluation by generating evidence on the fidelity of implementation and impact of the new MYP. It will also work to understand the conditions that best support teaching and learning in the MYP, while establishing a possible framework for the sustainable performance-monitoring and evaluation of all IB programmes.